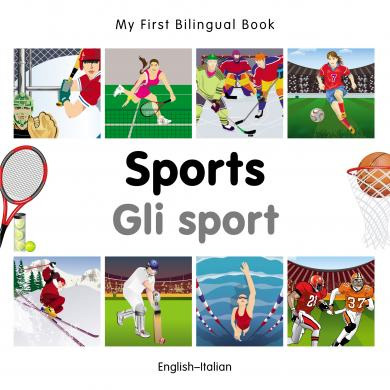 Teach children to learn vocabulary relating to different sports, in both Italian and English. My First Bilingual Book – Sports features a two-page spread on each featured sport. On the right is a large image relating to the sport, with its name in both English and Italian and several smaller images on the left, showing different objects relating to the same sport, such as equipment and sports stadia. Below each image is the word for the object in both English and Italian in large, bold text. Children can explore different sports while they learn the words for objects around them in two languages. My First Bilingual Book – Sports is ideal for children learning either Italian or English.